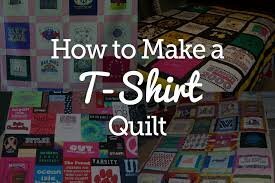 Learn how to make a t-shirt quilt. T-shirt quilts make great gifts for loved ones. This class involves everything needed to map out the process and will get you started on that one of a kind quilt! Must bring your own machine, or rent one of ours, bring t-shirts to learn on. Please bring sewing supplies, extra needles, thread and bobbins.